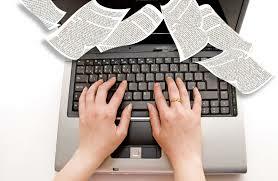 I wish I could say that I always dreamed of being an author, but that would be an exaggeration. What I can say, though, is that I’ve always loved expressing myself through writing. Growing up, I wrote regularly in a diary or journal (when the word diary became too babyish) and excelled in subjects related to reading and/or writing. However, when it came time to choose a career, it never occurred to me that I could actually do something that involved my two favorite subjects. So I started out by setting my sights on being a pediatrician—bad mistake. A prerequisite course, Clinical Laboratory Sciences, made it clear that anything involving bodily fluids was not for me. After premed, I majored in accounting for a semester until I finally decided on education. So how did I end up where I am now? The following excerpt from an article I wrote for Yahoo! Finance in the Fall of 2011 explains how my journey into the world of professional writing began. I was raised to believe that people should choose a career when entering adulthood and stick with it until retirement. The importance of loving what you do was never mentioned. It wasn’t until I read Who Moved My Cheese? by Spencer Johnson that I came to terms with this notion on my own. Up until June of 2011, I had been an elementary school teacher for 12 years. I had a stable, salaried position with excellent benefits, and enjoyed the day-to-day aspects of being a teacher. Resigning from such a secure position was one of the most difficult decisions I have ever made. When I began my career, I had big plans to spend the next 30 years of my life teaching elementary school, after which I would retire comfortably with a guaranteed pension and board-paid health insurance. However, after eight years, I developed an urge to do something else and constantly thought about what that something else could be. Could I teach at the college level? Could I work in the area of curriculum development? Or, going even further out on a limb, could I utilize my strong interest in writing and somehow make a career out of it? The problem was that every time I weighed my options or talked things over with my husband, I came to the same conclusion. How smart or practical would it be for me to leave such a secure career? Over the course of four more years as a teacher, my yearning to do something different only grew. During the summer of 2010, drastic developments took shape in the state of Wisconsin in regards to union jobs. I was distraught and confused when many of my colleagues lost their teaching positions and their futures became uncertain. I felt guilty because my job was secure due to the amount of seniority I had, while others who only had the desire to teach were losing their jobs. That’s when my husband recommended I read the book Who Moved My Cheese? This book, in which the characters search for “cheese” (a metaphor for whatever brings a person true happiness and success), provided me with an enlightened view of change. Reading it gave me the inspiration I needed to take the plunge and resign. I was finally ready to change my career course and find my cheese. So, I guess I owe Spencer Johnson a huge thank you. Had I not read his book, I can’t say that I would have had the courage to leave teaching. Sure, I could have continued working on Click Date Repeat (which I started during the summer of 2009) during what little free time I had, but who knows if I ever would have finished it? And I must say, regardless of how much I earn, writing truly is my cheese. 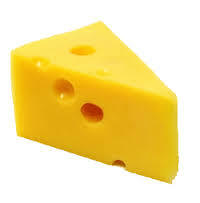 What’s your cheese? If you aren’t sure, remember, it’s never too late to start searching.